1. Hang bags on the inside of your closet door. You might have what seems like hundreds of different hand bags. You can’t bring yourself to get rid of them because every single one is perfect for a different occasion, or just a different day of the week. Instead of leaving your bags laying around in a box somewhere, or sitting on your floor taking up space, hang them on the inside of your door! Even the current hand bag that you’re using can be kept on the inside of your door. Then you’ll never misplace it again! 2. You can also hang bags, or anything really, on hooks. If you have any empty wall space in your closet, hang hooks everywhere! If you’ve got enough room, hang a whole rack of hooks! Go hook crazy! It will really help you when it comes to organization if you’ve got a wall to hang stuff on. You might look inside your closet and think about all of the wasted space you don’t get to use because there isn’t a rack, rod, or hook there. Add your own hook and you’ll get all that wonderful space back! 3. Throw some containers in your closet. If you purchase a few simple containers, you can fill them up with shoes, clothes, undergarments, accessories, anything really. If you’ve got a massive amount of accessories just laying around, putting them all inside a container can seriously help with your organization. The easiest way to make your closet go from junky to jaw-dropping is to grab some containers that color coordinate with your hangers and walls. 4. 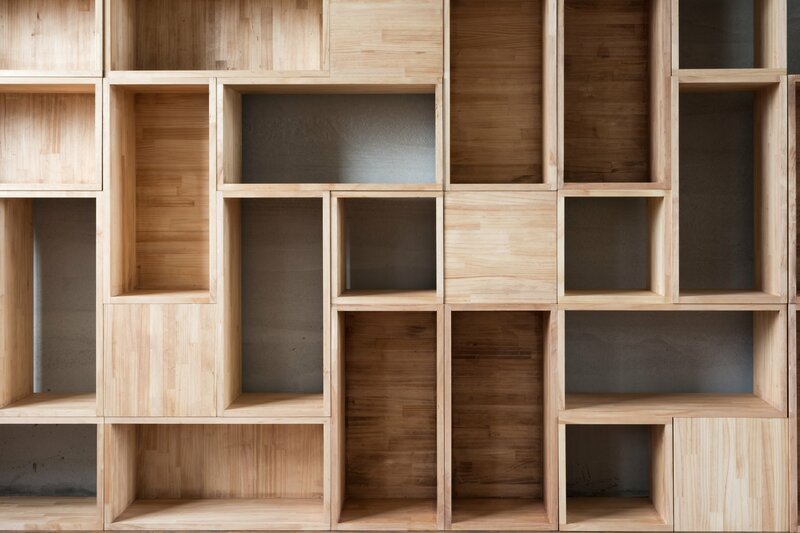 Get a wall of drawers. You might think drawers are only for dressers, but you’re wrong. Just because your closet didn’t actually come with drawers doesn’t mean that it can’t have any. You didn’t come with all of your clothes, but now you have them. Organizing your clothes inside of these drawers by activity, color, or days will really help your closet out. 5. Put your shoes underneath your clothes. 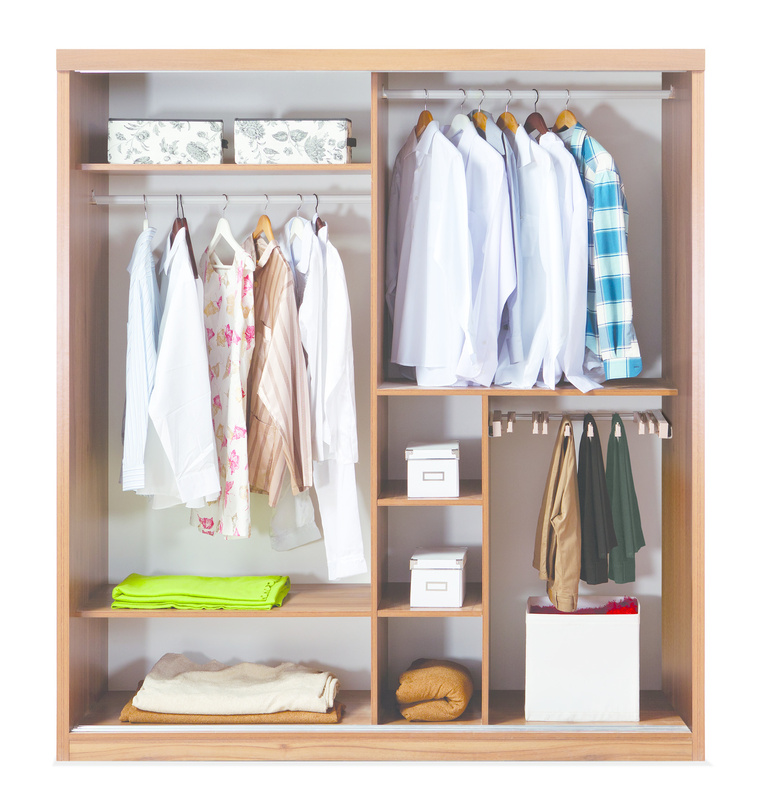 Your closet is full of vertical space that you aren’t using. An easy mistake with organizing is to not make room for accessories, leaving them to gather in random places. Put some containers below your hanging rack for shoes and accessories. 6. Get some tall and narrow shelves. Even a bookshelf will do, really. You can use this bookshelf to hold all of your shoes, your jeans, or your makeup. You can put a mirror above it to add some class. 7. Try to label things. If you have any containers in your closet, or you plan to get some, label them with what’s inside. If you have multiple containers, it can be easy to forget what’s in each one. 8. Use shower rings as a scarf holder. The rings that hold up your shower curtain can also keep scarves attached to a single hanger.